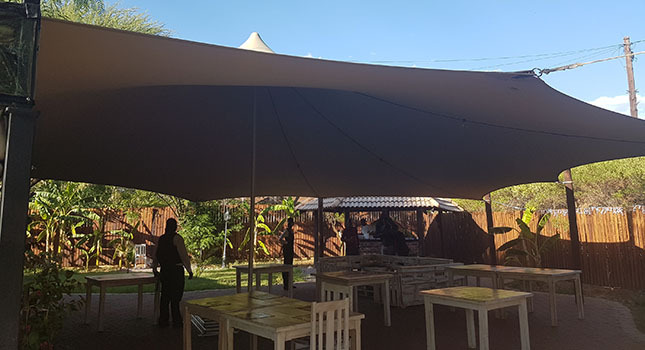 Earlier this year, we showed you how restaurants, bars and pop-ups around the world are able to maximize their revenue with the addition of a stretch tent. 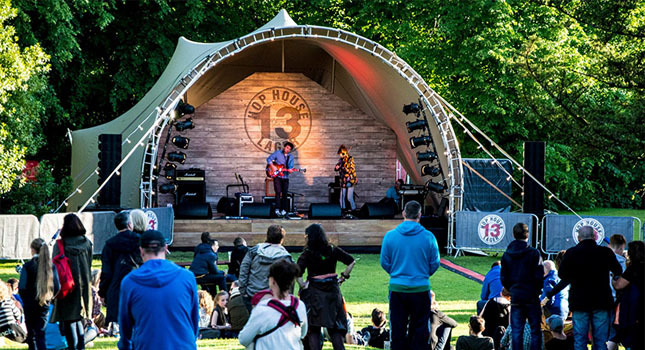 The expansion of outdoor spaces that these venues weren’t able to use during certain times of the year is now contributing to their bottom line, thanks to a revolutionary product that was pioneered by RHI Stretch Tents. Our most recent commission in this space is from Basilico restaurant in Botswana; a converted private residence in the upmarket suburb of Gaborone. Owner Arianna and her team have established a successful Italian restaurant that prides itself on careful attention to every detail, serving homemade pasta and Italian cheese and wine. The only aspect that needed some attention was the outside seating area, which is where RHI was able to assist. Upon a site inspection, it was immediately apparent that a custom-designed stretch tent is exactly what the space needed. 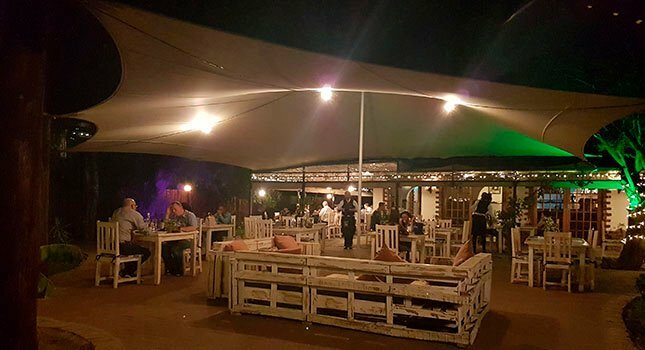 The shaded area would now be able to accommodate many more tables, almost doubling the restaurant’s capacity, and make the venue an appealing choice for event organisers looking to book big functions. 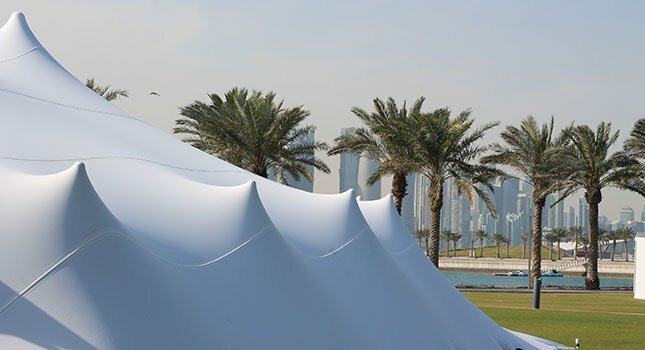 Low maintenance: RHIs stretch tent fabric is coated and treated with dirt repellants to ensure it remains clean and stain-free. Any spot simply needs to be wiped away with a damp cloth. 100% waterproof: Our All-Weather MK4 fabric is specially-designed to remain waterproof while stretched, with the addition of Teflon coating to guarantee water resistance. Not to mention powerful drip-free seams. 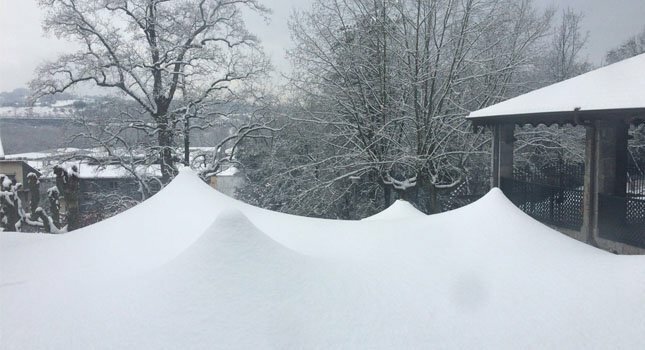 Return on investment: RHI stretch tents are made using only the best materials, sourced from reliable suppliers. And the parts we can’t source that meet our exacting standards – we make in-house – like our knitting machines. 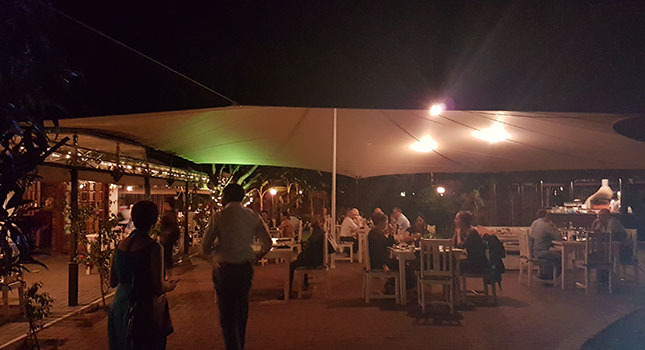 Set the mood: A warm and romantic ambience is very important for restaurants, something that’s easily created with a stretch tent, thanks to their organic curves that subtlely reflect light. We returned six weeks later to install the tent, on a day when the mercury peaked at 42 degrees Celcius! Needless to say, the tent is a welcome addition, providing much-needed shade during the day, and creating a cosy atmosphere at night. We wish Arianna and Basilico all the best, and we look forward to working with her again in the future.